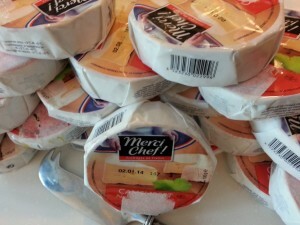 Looking for a good restaurant in Clark Philippines to enjoy some really good imported cheese? Maybe you’d like to order a nice bottle of wine to go with the cheese also? Wine and Cheese Lovers please take note. If you are going to be in the vicinity of Pampanga Clark Freeport, for golf, to visit friends, on business or to catch a flight out from DMIA Clark International Airport, on or around Saturday 30th January, 2016, you ought to spend your late afternoon of wine and cheese appreciation at YATS Restaurant. You will need to buy your tickets first. Tickets can be purchased in advance. Ticket price is just p550- (more expensive for those who just walk in on the day). Dress code is smart casual and you can even bring your children although you will probably need to order something for them of course. Service starts at 5pm and ends at 7:30pm. More about this wine and cheese tasting in Clark Philippines to be held on Saturday, 30th January, 2016…….. This is not the first time that this restaurant in Clark Pampanga organizes wine appreciation events. They also do wine paired dinners as well as the more traditional themed wine tasting events. These wine events are the only ones in Pampanga that are not commercially sponsored. This means there are no irritating salesmen or boring promotional speeches to distract participants from enjoying an otherwise perfectly relaxing afternoon in Clark. This restaurant is located inside Mimoso Golf and Leisure Estate. Better get your tickets fast because they are limited. Do you have a grievance or complaint about the Pampanga Clark Freeport Zone or one of its establishments? Tell us about it here. We will make sure your voice is heard.